Nothing beats the experience of returning home to a kitchen filled with the aroma of just baked bread. Cutting a thick slice, slathering it with real butter and feasting to your hearts content. The invention of the bread making machine is perhaps the best invention since…well…sliced bread! The bread maker has come a long way over the last several decades, with new bells and whistles; it’s worth a shot to see what the best bread machines available on the market are today. What are the Factors to Consider When Deciding on the Best Bread Maker Machine for You? What are the Paddles Like? Dough Types- What Else Can the Machine Make? There are many reasons people choose to make bread at home. Being able to use fresh ingredients without chemicals and preservatives was at the top of the list. Making your own bread allows you to make bread to your specifications and dietary needs, such as gluten free bread, sugar free, whole wheat and the list goes on. Having FRESH bread is another compelling reason. Cost savings are a factor as well, especially for large families. If you buy bulk ingredients and you eat a lot of bread, the savings can be sizeable. So, why not just make bread in the oven, the old fashioned way? The biggest is you will be doing the time consuming and laborious bread kneading yourself. The second reason is you will need to heat the oven, which heats the house. A bread machine is more efficient and uses less energy than the oven. A bread machine allows you to bake in hot weather. Before we jump into what is the best bread maker machine, let’s take a look at some key factors before buying a bread maker machine. Bread makers vary in the size loafs they make. They range from 1 lb to 2.5 lb, although the most common sizes are 1.5 to 2 lb. If you need a large loaf, there are a few machines to accommodate that. Many of the best bread maker machines allow you to make two or three sizes. If you like to add nuts, raisins or other items to your bread it must be done at a certain time in the bread making cycle. Most machines will indicate the right time by beeping to let you know when to add them. Some machines will beep loudly, whether you want them to or not. Other machines have a tray where you load the nuts or raisins and the tray pops open dropping its contents into the bread at the right time. This feature is usually found on high end machines, but it is nice to have as it automates the process and requires less supervision. Virtually all the bread makers we reviewed allow you to select the crust level of light, medium and dark. Where the machines differ is how effective they are at achieving their stated crust level. Our top rated bread maker has a heating element in the lid that browns the crust evenly and looks beautiful. Other machines have issues with browning where the bottom of the loaf is browner than the top. All of the best bread machines we reviewed have a delay timer which allows you to set up the ingredients up to 13 hours in advance and start the cooking process at a later time. Paddles vary a lot between bread machines so take a look at how the mixing paddle operates. Our best bread maker has two paddles for even mixing. Our second choice for best bread machine, the Breville, has a collapsible paddle that is supposed to fold down and get out of the way when the bread is baking. Some bread makers have paddles with non-stick coatings and some paddles are dishwasher safe. While you can leave the paddles on while baking, removing them at the last rise cycle will make for a prettier loaf with no hole, and it will be much easier to clean as the bread will not be baked on to the paddle. This of course means you will need to watch for this point in the cycle. Many bread makers have an indicator beep for this point in the cycle to let you know it is time to remove the paddle. Another benefit of removing the paddles before baking begins is it gives you a chance to even out the dough so the loaf comes out well formed. Most baking pans have some sort of non stick coating, and some coatings outperform others. The Panasonic bread maker reviewed has a diamond florine coating with excellent non-stick performance. Pans can be either square or rectangle. A square pan makes a higher loaf and a rectangle makes a more natural traditional loaf. While you may like the idea of a natural loaf, the square pan usually allows for better mixing because the paddle can reach all sides. Our top rated bread machine has a rectangle pan, but it also has two paddles so all sides of the pan are reached. Most bread makers have a viewing window. Some are large, some are small, and some even have a light so you can really see what is going on. The user interface varies quite a bit between bread makers, some are easy to use, some are easy to read, and others are too small to read easily. Most have an LCD display. Our number two pick has one of the easiest and most intuitive user interfaces to use. Our top rated models have well written user manuals and recipe books. Some of the lower end models were lacking in this department. A poor user manual or inaccurate recipe will make for a disappointing experience and will turn some folks off from using the bread machine. A big minus we saw was inaccurate recipes that turned out inferior loaves. Poorly translated user manuals are another issue with some bread machines. Even the best bread machine makes at least a little noise during the kneading cycle. Some are noisier than others but you should expect a bread maker to be about as noisy as a dishwasher during the kneading cycles. If it is louder than this you may need to return it as too much noise can indicate a faulty machine. Virtually all the machines we reviewed make more that a standard loaf of bread. Extras include French bread, sourdough, gluten free, cake and jam. Some do a better job at making gluten free bread than others, so if this feature is important to you check out our reviews. Many bread makers include a measuring cup and spoon, a user manual and recipe book. One model included an extra paddle, and a few models include a hook to fish out the paddle from the inside of a baked loaf. It seems easier to remove the paddle before the bake cycle, but it you are not around to supervise the loaf, the hook can help. While a higher price doesn’t always correspond to a better machine, in most cases it actually does. Two exceptions are the Panasonic we reviewed, which had a mid-range price tag, yet was our third pick, offering a lot for the price. The other exception was a Zojirushi with a high end price tag that did not perform as well as others in the same price range. Regardless of the machine you ultimately decide on, there are some tips that can increase your level of success that apply to all machines. Always use fresh yeast. If your loaf is not rising it may be due to an insufficient amount or old yeast. If your loaf rises quickly, only to fall later, if means you have used too much yeast. If the bread machine has an express or quick bake cycle, you need to use rapid rise yeast. The best way to measure ingredients is by weight, because weight is more accurate than using measuring cups. If weighing the ingredients are not feasible, spoon the ingredients onto the measuring cup so they are not packed down, which leads to much more of the ingredient being used than intended. Use a knife to level off the top of the measuring cup. Our bread machine reviews showed us that some bread makers are very particular about measurements and using correct measurements will greatly affect the outcome of your loaf. Use bread flour when making bread, there is a reason it is called bread flour and it makes a difference. Using regular flour will result in dense loaves. Bread flour is higher in gluten and protein. The gluten makes the bread lighter and chewier because the elastic properties of the gluten trap carbon dioxide allowing the bread to rise properly. Changing from all-purpose flour to bread flour can make the difference between loving homemade bread to giving up on it. You must add the ingredients in the order specified by the bread maker. Read the user manual and follow the instructions carefully. Without getting into all the specifics, just know that the order matters. Yeast can’t come in contact with wet ingredients, and salt affects the rise of yeast. So the little details are important. Your mix-ins should be dry. If they are wet, pat them dry with a paper towel before adding them to your bread. To get the best looking loaf possible remove the paddle and shape the bread by hand after the last punch down phase. Most machines have a beeping indicator to let you know. While this is not required, it does result in a more attractive and an even loaf with no paddle hole. Zojirushi, Breville and Panasonic made the top of our list in our top 10 review of the best bread makers. Toastmaster manufactured bread machines in the past, but not anymore. The brand name is now licensed to select brands and they do not manufacture a bread machine with the toastmaster name. Therefore, Toastmaster bread machine reviews can’t be on this list. Welbilt also manufactured several popular bread machines but they no longer make consumer appliances, only restaurant equipment. That’s why we don’t have a Welbilt bread machine review. Other brands included in our bread machine reviews are Kuissential, Oster, Cuisinart, Sunbeam, Rosewill and Hamilton Beach. Pan: Traditional, rectangular vertical with two paddles, nonstick surface and handle. 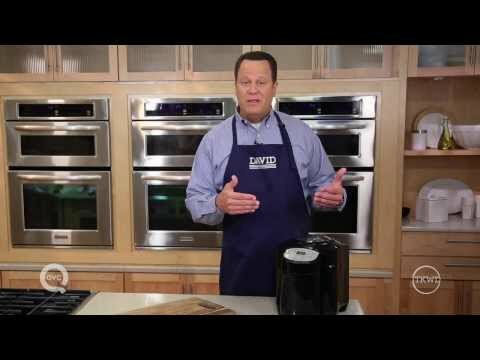 This has made it on our bread maker reviews, since it is one of the best machines on the market. It has a well designed, well thought out two paddle mixing system which means it mixes well, so you don’t need to babysit the loaf and make sure it is not sticking. It also has a vertical loaf pan, so the bread turns out more like a normal loaf. In addition to that, there are heating elements in the lid to insure an even brown crust. It does not have a mix-in dispenser, so for mix-ins you will need to listen for the beep, but even with the shortcomings, it really makes a beautiful loaf. Pan: Can be difficult to remove. Has a thin metal handle for removal, but since the bread is hot, it is a challenge to get a hold of it. Square shape, non-stick surface. This is the best bread making machine thanks to it being modern, easy to use and having user interface. It is handsome to look at as well, with a brushed aluminum housing Breville is known for. The housing is on the thin side and prone to dents, and the machine can wobble during kneading, so be aware of that. While the machine can be on the noisy side, the flour mixes well. With this model, because the bread pan is so large, it is best to remove the paddle at the last rise, before cooking begins. This gives you a chance to even out the dough and get a prettier loaf, plus you won’t have to clean backed on bread from the paddle or have a hole in your loaf. This is a great machine if you like really large loaves. The light crust setting helps avoid problems with uneven browning. This is one of the only machines we saw that had the ability to customize the heat and cycle time in homemade mode. Most only allow you to customize the time. This is the second best bread machine we reviewed. Pan: rectangular with Diamond Florine non stick coating. Sturdy metal handle for easy removal. Accessories: Measuring cup, spoon and manual with recipes. Once you get your recipes adjusted and tweaked just right, this is a great machine. It is a high quality machine that makes a consistent loaf of bread, evenly browned every time. The loaf shape is a bit odd, but the bread quality is delicious, it really makes a nice bread loaf. The automatic mix in dispenser is handy, although on the small side. The machine is very easy to use and the special non stick used in this model has your bread popping out fuss free. This unit stands out for its quality, durability and will likely last a while. Pan: Rectangular pan with non stick surface and metal handle. Pan twists in and locks as opposed to the traditional method where you push it in. Accessories: Measuring cup and measuring spoon included. This is a great budget machine. It makes a nice loaf of bread consistently and none of the flaws are so grievous they affect bread quality. The paddle mixes well and the crust comes out even. For a machine in this price range it has a lot of great features, such as the homemade option which allows you to set the time for each cycle. Overall this bread maker is a good deal. This is a good budget machine. It makes a great loaf of bread with an even crust. Be aware you may have to tailor your ingredients and experiment to get the perfect loaf, as some recipes are too large for the machine. You may also have to do a little baby sitting after the final rise to adjust the loaf so it bakes evenly. It has no mix in tray so that will need to be done manually. It is a solid basic machine that makes a decent loaf once you work out the kinks. For the price, it is a good buy. Pan: Removable pan and blade. Rectangular shape, non-stick surface. Pan has two handles and locks in. The two handles make it easy to remove. Accessories: Measuring cup and measuring spoon and recipes included. The machine beeps very loudly and there is no way to turn down the volume or mute it, unless you want to take the machine apart. If you can get past the fact that this machine is a loudmouth, there is really not much to complain about. It makes a beautiful 2 lb loaf, it has all the standard settings and features, it is durable, reliable and at a great price. Sure, it has no automatic mix in tray, the machine will holler at you when its time to add those. But other than that, if you came here specifically for the brand Cuisinart, then you’ve read the best Cuisinart bread maker review and this machine should be a winner for you. Pan: Removable non stick pan, square. This is a good entry level bread machine that makes light airy bread consistently. It has the basic functions and features and should last for a long time with regular use. The leaking grease and other mechanical problems may be a concern as they tend to crop up with heavy usage. The price can not be beat, it is one of the most inexpensive bread makers we reviewed, and it makes a good loaf of bread. This Zojirushi is an OK machine but does not perform as well as the Zojirushi BB-PAC20. The loves tend to come out lopsided and not browned consistently. From both of our Zojirushi bread maker reviews, The Zojirushi BB-PAC20 has some upgrades which remedied these problems. Still, it has a wide variety of settings and the homemade setting is a great feature to customize the loaf. To make better loaves you will need to form the dough manually after the last rise, and to get a good brown crust you may need to put the loaf in the oven, which kind of defeats the purpose. Pan: Rectangular, with non stick coating. This is a decent bread maker. It has some good points, the price being one of them. The fact that the pan and paddle are dishwasher safe is a bonus. It also has an automatic mix in dispenser not usually seen on models of this price. The recipes that come with the unit are prone to failure and you will need to experiment to get a bread that works for you. This model is one of the best gluten free bread machine, so if that is your goal this may be the bread maker for you. Accessories: Includes extra paddle, and recipes from bobs red mill. The dough does not always mix well and occasionally goes to one side, so you need to watch the unit as it is working. This is a decent unit for the price, it has a lot of features, including the ability to make gluten free bread, and a quick cook one hour feature. It is one of the best gluten free bread machines reviewed. It has a mix-ins alarm to tell you when to enter the mix-ins, but sometimes the mix-ins don’t mix evenly and end up on one side of the bread. Has a special setting for quick bread, which does not require rising time like yeast bread does. This bread maker makes a tasty loaf of bread if you don’t mind having a larger unit. 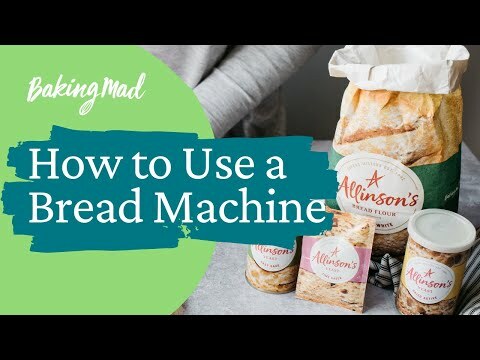 We hope our bread machine reviews has given you some factors to consider, helping you one step closer to answering the question “What is the best bread machine to buy?” and also actually buying the best bread machine for your home.